Red Cow Moran Hotel and Red Cow Inn are famous for good food and great entertainment. Regular music nights and A list of artists of Irish entertainment. The Red Cow Moran 4 star Hotel in Dublin is recognised as one of the most conveniently situated Dublin Hotels, located at the Red Cow Intersection, which is the gateway to Ireland's provinces. It is one of the best located Hotels in Dublin,the Red Cow Moran hotel is accessible from all parts of the country, in addition to Dublin City Centre, Dublin Airport and Heuston and Connolly train stations. The Red Cow Moran Dublin Hotel boasts luxury hotel accommodation in Dublin, a host of restaurants and bars, along with a regular entertainment line-up. 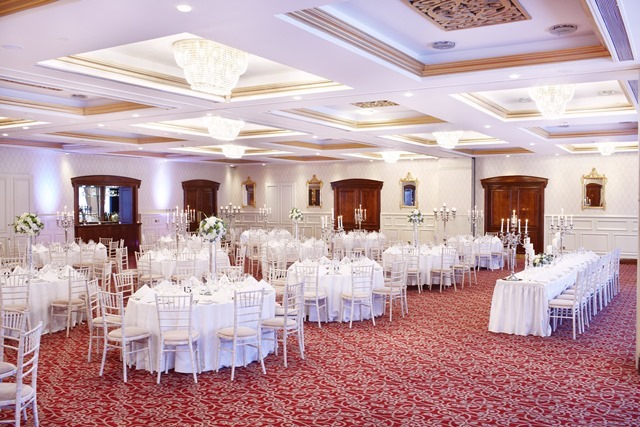 This 4 star hotel in Dublin is an ideal choice for conferences, events and weddings in Dublin. The Cocktail Bar at the Red Cow Moran Hotel has a cosy and welcoming feel where you can sit back and relax with friends or colleagues. There is always great live entertainment in Red Cow Inn. It is one of Dublin's best entertainment venues. The Red Cow Inn has been on the same site since 1690 - it is one of Dublin's, and indeed Ireland's most famous pubs. It is very well-known for the variety and quality of food served throughout the day, which makes it ever popular with the locals, guests from the adjacent Red Cow Moran luxury Dublin Hotel and those stopping off on the way to other parts of Ireland. Buzz Late Night Venue is also located beside Red Cow Inn. The Winter Garden Restaurant at The Four Star Red Cow Moran Hotel, one of Ireland's leading hotel restaurants in Dublin, serving modern Irish food with fine dining elements in a relaxed informal environment, is open for breakfast, lunch and dinner. We believe that whether you are wheat or gluten-free, vegan, dairy intolerant or have religious restrictions to your diet, you should be able to eat and enjoy great food that suits your needs. With this in mind we offer a range of tasty dishes to suit specialist dietary requirements. If you are planning on attending an event or simply just visiting the stadium, why not make a full event of it and stay a night at the Red Cow Moran Hotel. The Red Cow Moran Hotel is located just 19 minutes from the stadium or if you plan on taking public transport the Red Cow luas stop is a short walk from the hotel where you can travel to Connolly Station and either walk or take the dart to the stadium. Also major sporting events are televised - golf, soccer, rugby, GAA at the hotel as well. When choosing a meeting hotel in Dublin it is important to find a venue that offers idyllic location, excellent service and competitive rates. 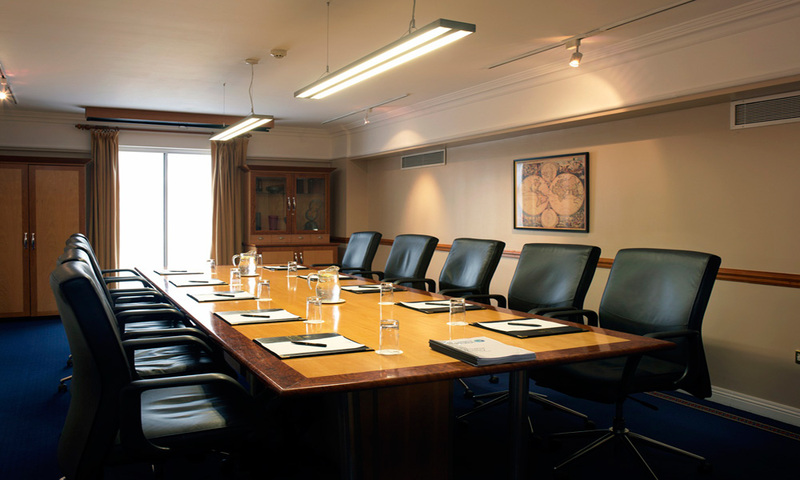 Red Cow Moran Hotel Dublin specializes in delivering prime meeting, event and conferences facilities in West Dublin. Click here for more information and details! Enjoy a restful night's sleep in one of the 123 guest rooms at The Red Cow Moran 4 Star Hotel in Dublin. During 2013 and 2014 The Red Cow Moran Hotel has upgraded a selection of rooms to Executive and Superior Executive. Both room types have been upgraded with the needs of our customers in mind. Awake refreshed for the day ahead with a spring in your step. Boasting quality 4 star hotel accommodation near the M50 Dublin, the air conditioned rooms at The Red Cow Moran hotel are quiet, spacious and extremely comfortable, which makes them perfect to work in. 95% of our rooms are designated as non smoking and five rooms are wheelchair adapted.